Easy Mades web page is for all the requirements of your DIY knowledge for Android, Arduino, Electronic Projects, Car Repairing, Troubleshooting of electronic and electrical problems and also Tips for Apple iPhones. This also more explained in easymades Youtube channel as well. Therefore Stay with Easy Mades. // End of the coding, BUDHUSARANAI, Best of luck. This LED use common anode or cathode?? 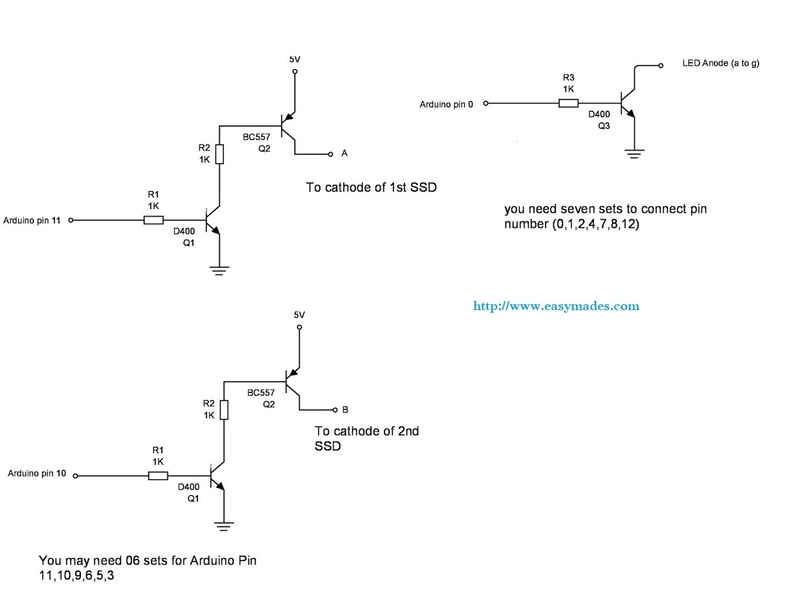 If I used common cathode will it work?.if we disconnect RTC pins from Arduino what will happened.I have used Arduino nano and tiny RTC module .I have told you I my previous comment that I uploaded the code to Arduino nano and Arduino pin 13 blinks. Arduino pin12 never gets on.in your diagram pin12 is connected to central segment of led display.is tiny RTC module not comfortable for this project.l have spent a lot of money for this project .so you please respond me fast. If you can use common anode this will be a easy project. Since it is used LEDs it is not a matter to use common anode. Yes, even though you have used common cathode you can work with it. But you have to change the codes. Therefore I recommend to use as described in this post common anode. RTC module is the memory chip, if you disconnect the wire clock with stop working but it will display some digits. 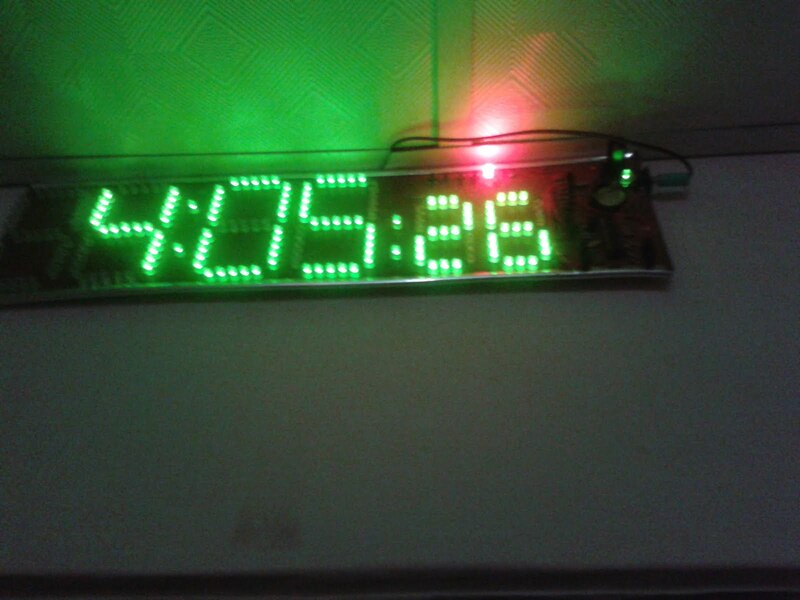 LED on RTC should BLINK once a second. If the IC number is same, tiny RTC module is also work with this. But I can not recommend Arduino mini or Arduino nano for this project. Sir,I think there is a mistake in display circuit.in first picture there are 6 NPN transistors to connect with 7 cathode pins.l think the second transistor circuit is for common anode and the first transistor circuit with led circuit is for common cathode.an I right? Thank you for information , I will check and inform you. Ok, i will upload original file. How about your project. Is it working. I'm can't downlod original code from link above. And how wiring dot point? You can use LED on RTC module and link is updated. Is Arduino nano comfortable to this project?.if no why?. I did not have check it yet whether or not support particular libraries with arduino nano. How did you programmed the chip.using FDTI? No, Since arduino uno has inbuilt programming unit you may not need a FDTI. But if you use arduino mini then you may need FDTI. Did you mean RTC module? Editing switchers are used to adjust the time. If you want to adjust the time 1st press “Editing Activator” switch. 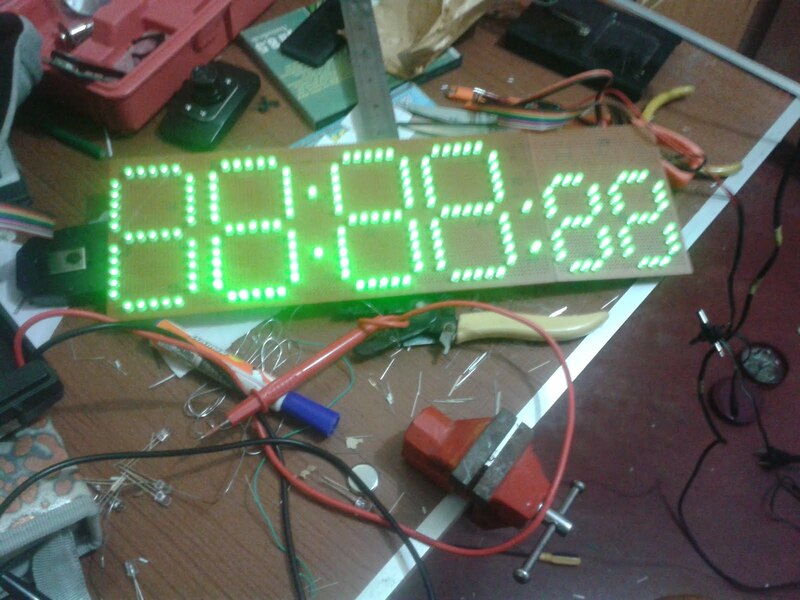 Then all the LEDs will start to blink. Then you can change HOURs or Minutes by pressing “Hour” and “Minutes” buttons. 12/24 button will change time mode as 24 hours clock or 12hours clock. Common anode means all positive pin of every segment is connected together? Which did you use in your project,common cathode or common anode? 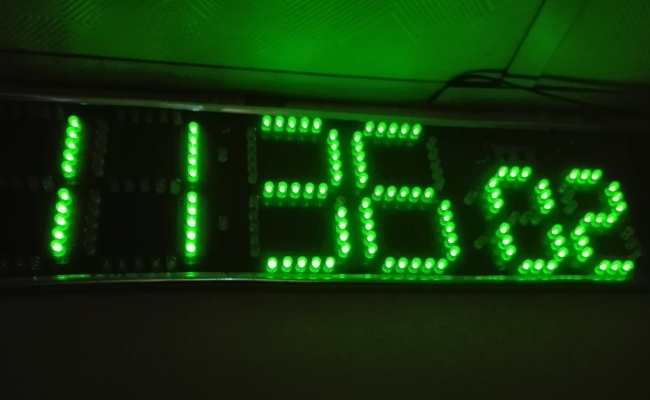 LED on 7th pin(sqw) of ds1307 RTC is not blinking.now I didn't connect the RTC with Arduino.is the LED only blink after connecting with Arduino?.The led is Everytime on without connecting to Arduino. did you connect the battery? Yes.i connected the Battery.But I didn't connect the SDA and SCL pin to Arduino. Should I program the DS1307 to get 1hz output on SQW pins? No need to program separately. that is why 32Mhx crystal is included. But remember this, RTC module's battery is only for keeping memory. LED blink only when that circuit is powered 5V to VCC pin. 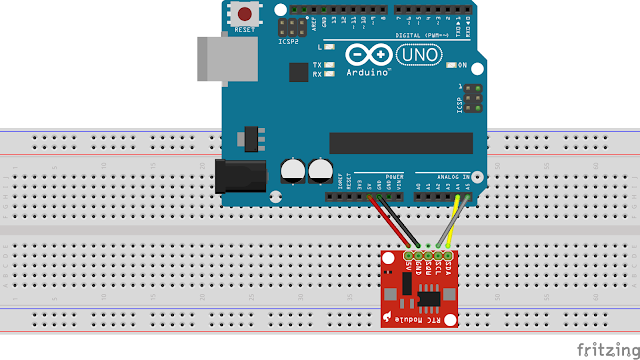 Should I connect the RTC to Arduino when the code is uploading? Yes, then PC time will be uploaded to the RTC module. What will be showing in serial monitor of Arduino ide? I have stopped printing data by "//" on Serial Monitor. If you can see "0" or "1" on serial monitor which means that you have pushed or releases SW0 switch. 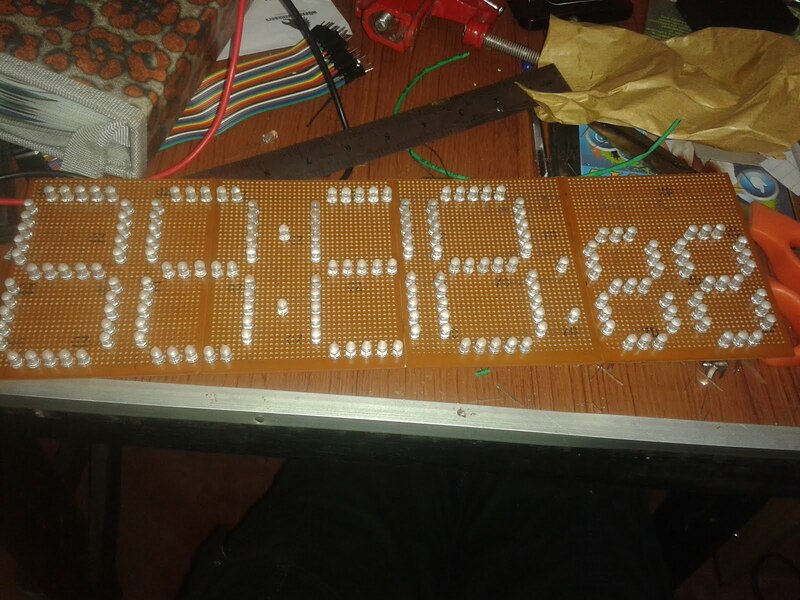 having removed "//", you can see hours, minutes and seconds accordingly. If you want to get data from serial monitor find "//Serial.begin(9600);" command and delete "//" marks and upload. In common Anode transistor circuit the Anode of LED is connected to Collector of NPN transistor and Cathode of the LED is connected to Collector of PNP transistor.That means Anode of LED to GND and Cathode of LED to 5v?pls clarify. There is a small correction on LED wiring, I marked it by red colour. Yes you are correct. Hi sir.my project is working.But the brightness of some segment is become very low.what is the reason? use a power supply at least 500mA. It is depend on the type of LEDS. Make sure to use same colour LED and same type of LEDs. Further if you problem not solved, let me know. Hi sir.It was just a problem in my soldering.i solved it and it is now working well.Thank you so much. 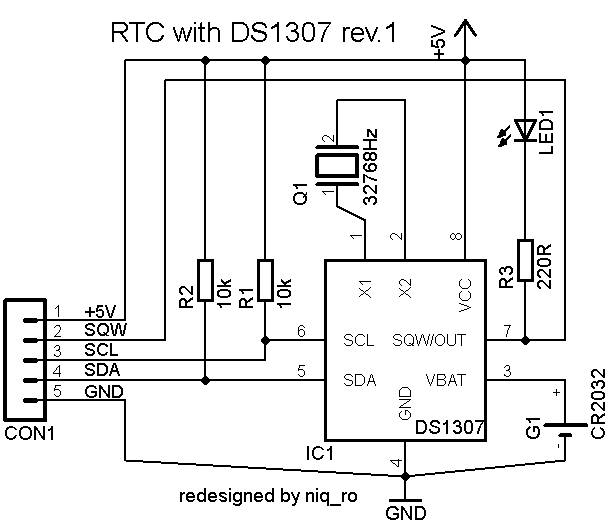 Time accuracy is low for DS 1307 ic.can replace the fs1307 with ds3231 RTC which is more accurate. Will ds3231 work with RTClib.h?. when I using ds1307 it loses approximately 4minuts/day.so can I replace ds3231 instead of ds1307?.In many blogs it is showed that ds3231 has a precision of 1ppm.pls clarify. Sir I solved that problem by changing RTC chip.now it is working well.i also had a problem of automatic changing of 12/24 h format.i also made a solution for this by adding a 10k Resistor b/W Arduino pin A3 and Vcc. Well done. nice to hear new upgrades to this project. keep it up study and practice well. 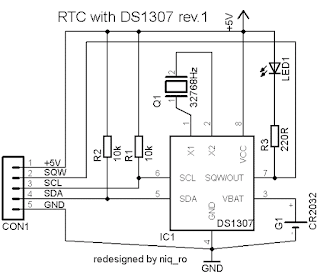 Can i use ds3231 rtc module instead of ds1307 rtc ? yes, you may. but you may have to change the library. Where 15 regulator ics (7805) are uses? 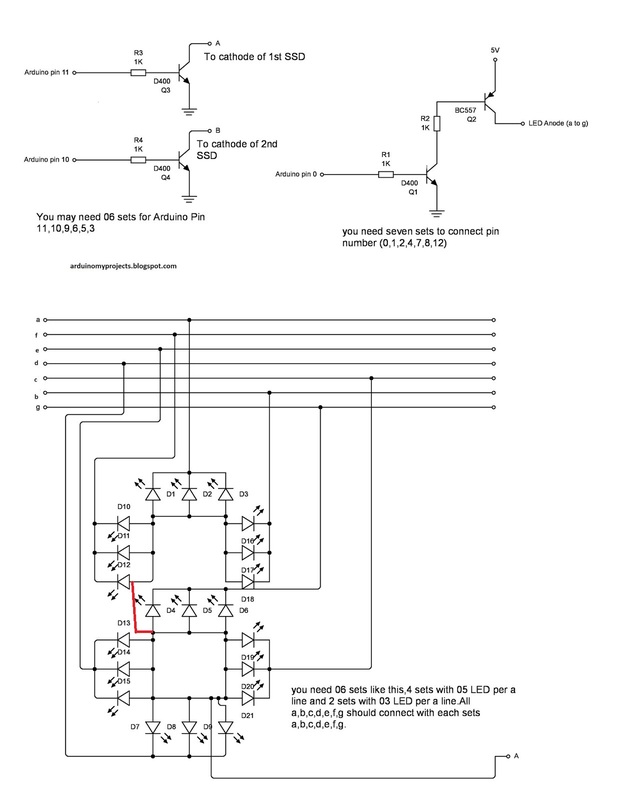 Please give me complete wiring diagram. Does the DP run the colons? You show the buttons wired to 5v but your code shows they should be grounded and pulled high in software. did you complete the project? Got it working but in the 12hr mode the first digit is a zero. I want it blank like yours. What part of your code does this. Not yet, still building. But was just asking are the buttons grounded or tied to 5v. it seems the schematic contradicts the code. That is why I have given the power to LED by Transistors. 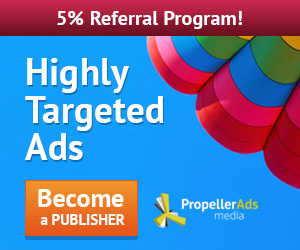 Brother, I try it on Proteus, but it not work...plz help ,,how to do this....please please please. 1st check LED wiring. Give separate power to LED and check that all the LEDs are working and polarity is correct. Not working mean? I need more information. Brother, i upload a pic on facebook, please see this,,i am try common anode & common Cathode but its not working properly..
Where is the 3V battery to power the RTC module? have you built the project or it is just simulation? ConnEct an LED through 220ohm resiator to pin 13. Can i change NPN transistor as 2N2222 ? Mama hadapu clock eke 11 pin eken signal enne neha. digit 1 eka on wenne ne. aneth digit 5ma blink wenawa. Wiring check karanna. samaharawita 11 pin eka dead wela ethi. ehema welanam IC eka change karanna wei. Because the transistors change the anode and cathode, If you use SSD directly, you have to change some codes. And also it is depend on the common polarity of SSD. Then run serial monitor and press SW0 switch. and check the readings. you have to repeat same thing if you want to check all the other switchers as well. Then you can find out switchers are working or not. if the reading is always same, there is an issue in wiring. 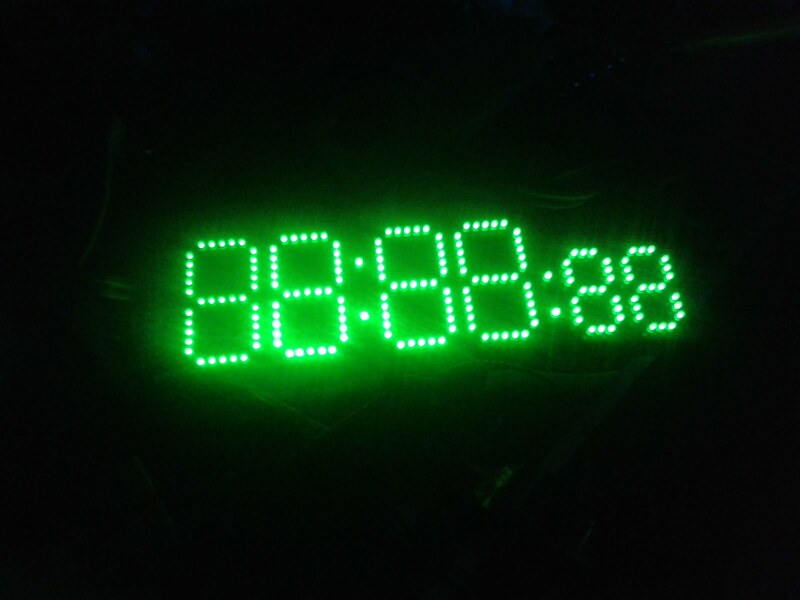 *** When serial print is working, your clock will be mad. do not worry. If you can not upload the codes, just disconnect pin 0 and pin 1 from SSD. Some times that issue had come. therefore I changed the switches wiring diagram. Check the updates. If you change the transistors as i shown in this post above, you no need to change the codes. If i change RTC DS3231, what code part have to change? Brother i did it successfully, one problem is that - in 12 hour mode, (hour Digit Show "0" after 11 hour, like : (0:01:10). Please help. Brother, i find & delete the code...now it is works only 24Hour mood..
now, run Serial monitor. The check what is the amount shown in at 1:00 pm? i check it, it is ok..& RTC give time accurately. It is happy to me. Yes, you can add an LED to Digital pin 13 with 120 ohm resistor. Sir, I have successfully completed the project as per your guidelines, Thank you so much for guiding us. 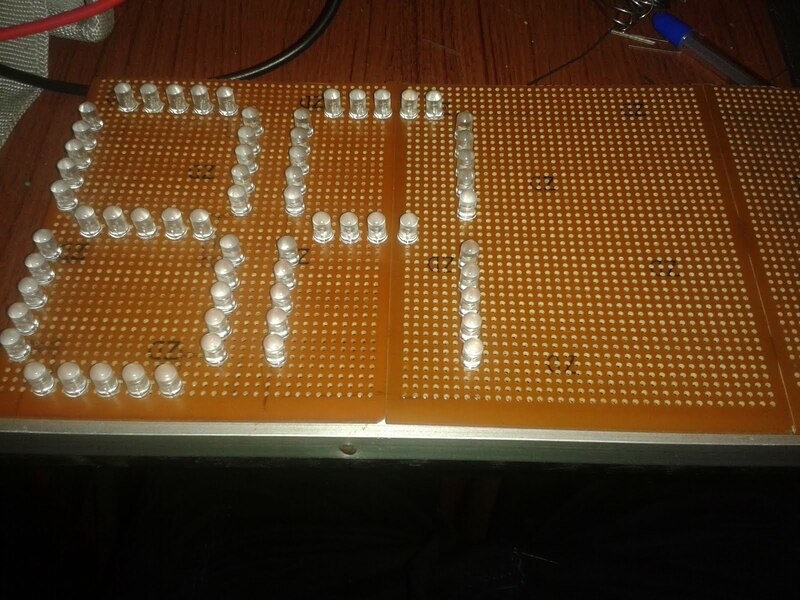 I want to increase the brightness of LEDs so that it will be easily viewable in daylight also, please help. Congratulations. Yes, if you need more current you have to give a current with more amps then if you need more, change the transistors and use MOSFETs (P- channel and N –Channel) as necessary. But 1st give the power through 1N5408 diode to regulator and connect the 12 to LEDS before the diode. Give about 1A to 3A current and use a heat sink to 7805.
sir,i am using 8 led insted of five .can u suggest which type of N channel or P channel MOSfet i wanna use and how to wire them .i am using 5v 2amp powersupply. 5V is not enough. 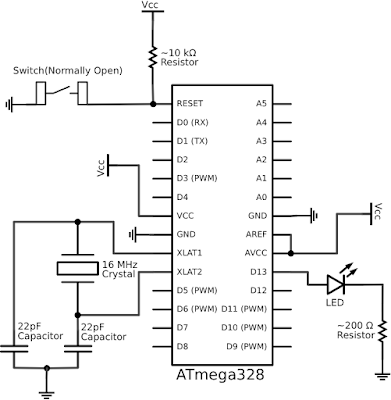 So Use a separate power supply to BC 557 Transistor and give about 8V using 7808 regulator. give only 5v to arduino, but about 8v to LEDs. 1A may be adequate. 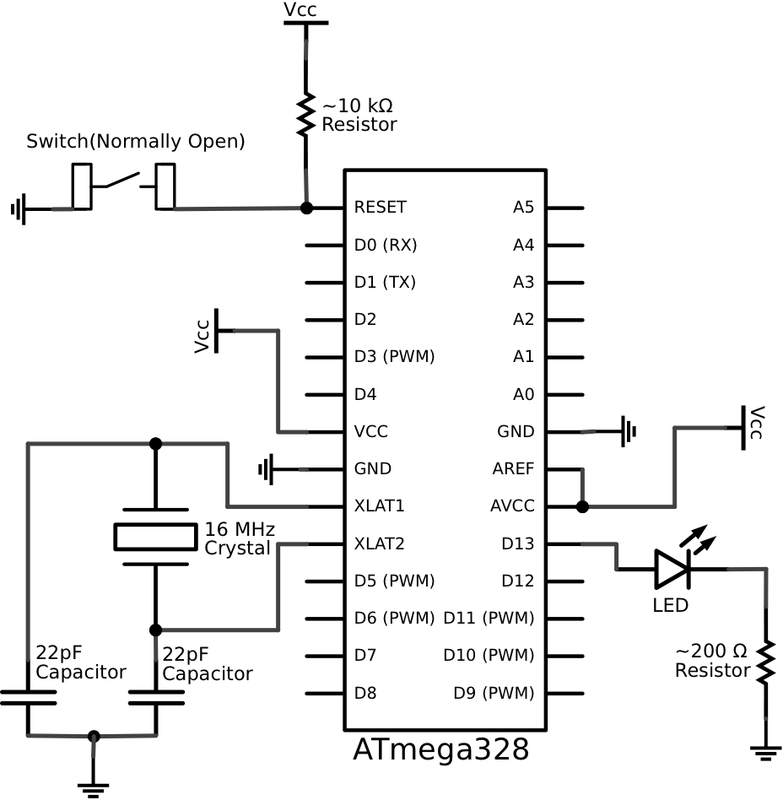 ok thanks, im using 12v 1amp output of a voltage regulator 7808 .im using 5mm Square Head Red LED it is oky with 8v? Yes. 1st add 480ohm resistor before the LED. done but when the digit increases from 1 to 8 it will get dimmer . Yes You can use it. But I have no idea about the switching speed of that transistor.If the switching speed low, all the LED will light up. may i change the rtc module? This happens because of the quality and the condition of the crystal. When you solder the crystal make sure not to over heat it. Try with a new good quality crystal and solder terminals one by one with a reasonable delay holding the terminals with a plier. are u talking about arduino crystal or rtc crystal ? It may be due to few reasons. howerver, try to change the brightness value of the code.